Creating a new ballet is never easy, but when that ballet is King Arthur and the Tales of Camelot, the pressure is on. Inspired by the popular novel, The Mists of Avalon, the Queensland Ballet’s latest work is the result of Artistic Director François Klaus’ ongoing fascination with the Arthurian legend— a passion he discovered whilst creating the lead role of King Arthur in John Neumeier’s King Arthur’s Saga during his time working with the Hamburg Ballet. Klaus let Dance Informa’s Grace Edwards in on the preparations behind staging such an iconic story. A ballet means nothing, of course, without its dancers. Upcoming performances will feature Rachel Walsh as Queen Guinevere and Keian Langdon as King Arthur. The role of King Arthur’s half-sister, pivotal in Klaus’ version, will be performed by Claire Morehan. Responsible for delivering the text in his role as Merlin is former Expressions Dance Company member Dan Crestani, whose dramatic portrayals of characters such as Richard III brought him to Klaus’ attention. King Arthur, Klaus admits, falls into the latter category. “I think it is one I have had to work on quite a lot,” he says. “I did an attempt a few years ago and I just feel that now, I have the company capable of doing it.” Soon enough, the Queensland Ballet will have the opportunity to prove it. 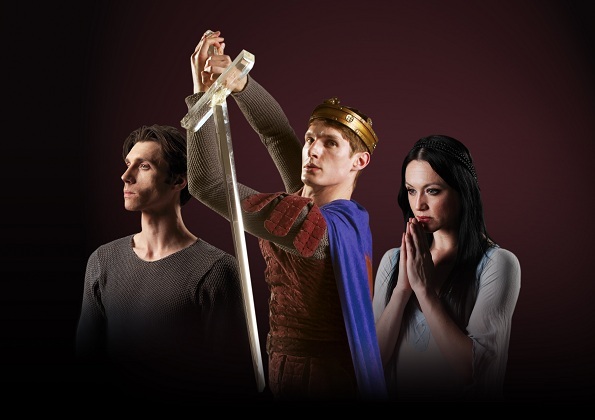 Queensland Ballet presents King Arthur and the Tales of Camelot at the Playhouse, QPAC, 15 – 29 October. For more information on the production, visit queenslandballet.com.au.